Shaolin Mantis Kung Fu is a childrens martial arts school teaching and practical kung fu to children from the age of 5 to 15 years old. We have been established for over 3 and 1/2 years and have great feedback from both students and parents. Children have disciplined fun and love learning what we teach. Children receive age appropriate training over 50 minutes, concentrating on authentic kung fu throughout the session improving discipline, confidence, focus and concentration, all whilst learning effective self-defence. We have an affordable joining fee which includes insurance and kung fu uniform. There is no minimum term contract. Money is not our driving factor with both instructors having full-time jobs. We have not changed our prices since 2015 and have no intention of doing so for many years. We teach this system to others as we love Kung Fu. The main instructor has over 20 years experience in kung fu, the other 10 years. First two lessons are free of charge so that the child and parent can be confident they are happy with the training. 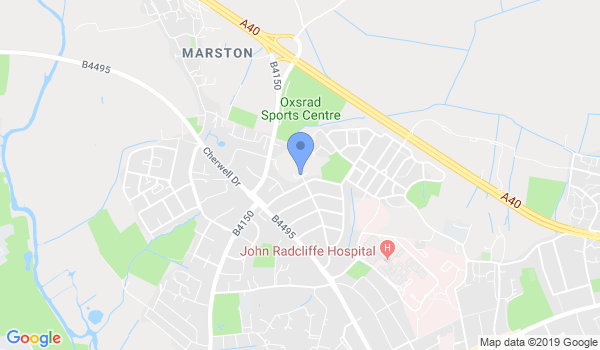 Training is every Sunday we are open from 10.30 am to 1 pm, New Marston Primary School, Copse Lane, Oxford. Parents feel free to bring your children to our first class at 10.35 am, no appointment necessary. Would you like more information on hours, classes and programs available at Shaolin Mantis Kung Fu? Please contact the school with your questions. Update the details, Write a Review or Report Error of Shaolin Mantis Kung Fu.